A multi-instrumentalist she plays the ukelele, piano, flute and is skillfully innovative in the art of live vocal looping. In March 2012, she released her debut recording Wild Swan, featuring saxophonist Sam Newsome and bassist Joe Martin. The album was critically acclaimed by leading publications including London Jazz, All About Jazz, Jazz Wise Magazine, and was featured on BBC Radio3. Before devoting herself full time to music, Joanna received a Bachelor\\\\\\\\\\\\\\\'s in Fine Arts (Central Saint Martins, London & Beaux-arts de Paris), all the while performing regularly in the UK and in Paris. She then completed a Master\\\\\\\\\\\\\\\'s in Jazz Performance at The Guildhall School of Music and Drama, London, graduating in June 2012. In September 2012, Joanna moved to New York City, where she has steadily pushed the boundaries of her songwriting, performance and musical projects, strengthening her ties to the New York jazz scene and also forming exciting collaborations with artists in the worlds of circus and dance. Joanna recently auditioned for and was accepted into the casting database of Cirque Du Soleil. In October 2013 Joanna toured as part of Chorale Le Chateau, a choir under the direction of Grammy Nominated pianist, composer, and singer Damien Sneed, the Jazz at Lincoln Center Orchestra with Wynton Marsalis, performing at world renowned venues including as the Kennedy Center, D.C, Boston Symphony Hall, and Rose Theatre, NYC. Last summer, 2014, Joanna featured at the Salisbury International Arts and Music Festival with internationally renowned classical and folk violinist Pekka Kuusisto, where they devised an original piece entitled SLEEP. Joanna also brings her talents to the world of film and commercials, performing vocals on the soundtrack of independent movie All The Beautiful Things, which premiered at Sundance Film Festival, 2014, and also Desert Dancer, starring Freida Pinto, and singing on the score for Lars Von Trier\\\\\\\\\\\\\\\'s Dear Wendy. She also wrote the lyrics for the soundtrack theme song for British movie, Summer in February, starring Dan Stevens, and is currently the voice for Hillshire Farm\\\\\\\\\\\\\\\'s commercial campaign. Joanna recently completed her latest album - a Duo Record of mostly original songs, with pianist Dan Tepfer. It is to be released by Sunnyside Records March 3rd, 2015. 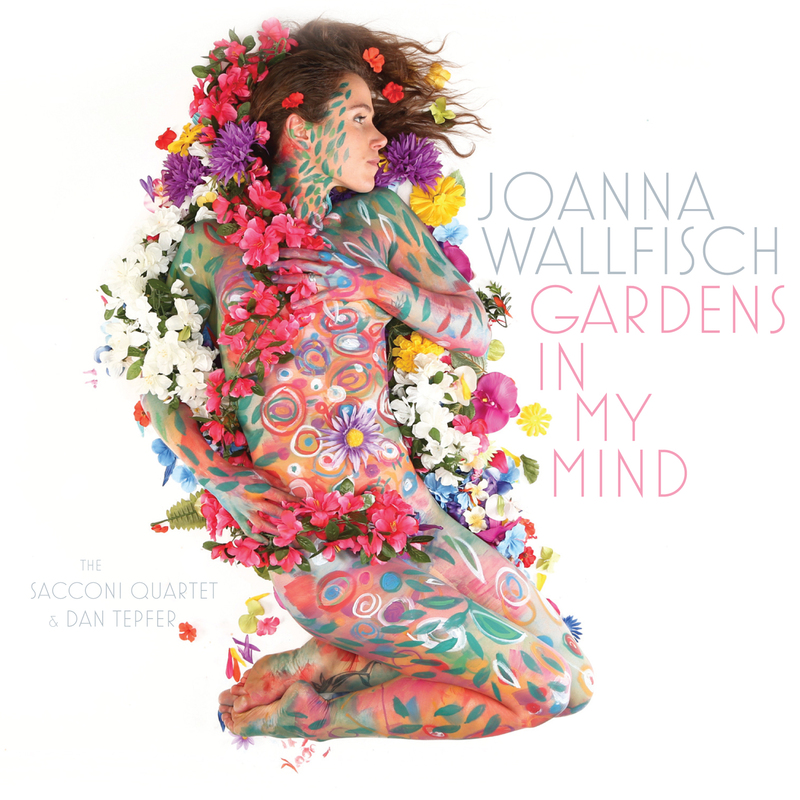 \\\\\\\\\\\\\\\"In her thoughtful and dreamy debut album, Joanna Wallfisch offers a collection of beautifully crafted songs that introduce a poetic writer with an uncommonly versatile voice. Gifted with a razor sharp sense of intonation, she commands an expressive palette that runs from achingly fragile over sensuous and smoky to steely confidence. In Dan Tepfer she has a sensitive partner at the piano who shades the songs with iridescent colors. Their take on Radiohead\\\\\\\\\\\\\\\'s \\\\\\\\\\\\\\\"Creep\\\\\\\\\\\\\\\" is cleverly devious; a cover of Tim Buckley\\\\\\\\\\\\\\\'s \\\\\\\\\\\\\\\"Song to a Siren\\\\\\\\\\\\\\\" sweetly haunting. Wallfisch\\\\\\\\\\\\\\\'s own songs are those of a poet observing human nature with patience, empathy and humor and range from the luscious reverie of \\\\\\\\\\\\\\\"Satin Grey\\\\\\\\\\\\\\\" to the quirky wit of \\\\\\\\\\\\\\\"Brighton Beach.\\\\\\\\\\\\\\\"